Locational Advantage : Fortune Select Palms is located on Old Mahabalipuram Road at Chennai. 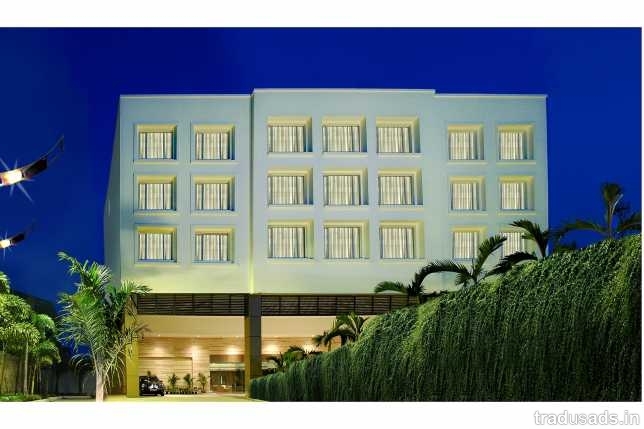 Fortune Select Palms is one of the prominent hotels in Chennai. It's a lavishly built hotel which is constructed and decorated with the highest quality fixtures, resulting in an ambience of ultimate royalty. The features like tranquil atmosphere, world class accommodation, fine dining and traditional Indian hospitality, have made it a place where guests can relax, rejuvenate and refresh away from the daily hustle and bustle of life. In short, Fortune Select Palms is a place where tourists would like to come and stay on their visit to Chennai. The hotel offers accommodation in its 129 well-appointed rooms, categorized into Standard Room, Fortune Club Room and Suite. The finest quality of fabrics, materials and furniture are used to decorate the rooms. Oriental Pavilion: A fine-dining restaurant that offers authentic Chinese dishes. Zodiac: A coffee shop, which serves delicious snacks and refreshing beverages. Courier Service, Credit Cards Accepted, Doctor on Request, Fax, H/C Running Water, Currency Exchange, Free Newspaper, Room Service, TV, Direct Dialing STD/ISD Facility, Safe Deposit Box, Internet Facility, Outdoor Swimming Pool, Laundry, Travel Desk Service, Conference Facilities, Banquet, Gym, Car Parking, Bar, Restaurant, Car Rental, Hair Dryer, Reception, Business Centre, Postal Services, Refrigerator in all rooms, Tea/Coffee Maker.